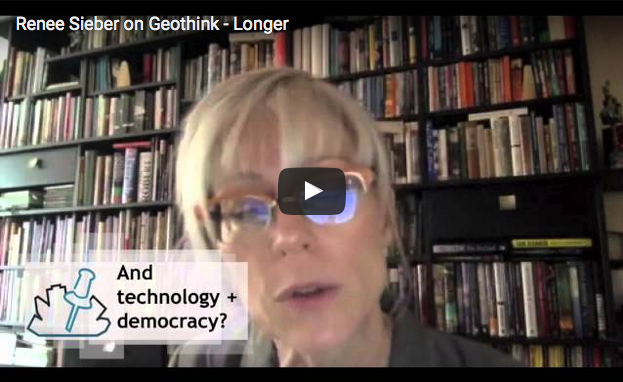 Geothink Video Interview 2: Ever Wondered Why Geothink? Geothinkers, have you ever wondered how Geothink got its start? Or perhaps you are someone who just stumbled on this site and might be wondering what is Geothink? Wonder no longer. 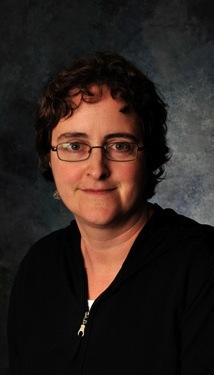 Today we bring you two video interviews with Geothink Head Renee Sieber, associate professor in McGill University’s Department of Geography and School of Environment. She’ll not only put to rest where Geothink came from but also talk about how today’s technology has fundamentally altered our relationship with the cities we live in. If you have thoughts or questions about these videos, get in touch with Drew Bush, Geothink’s digital journalist, at drew.bush@mail.mcgill.ca. 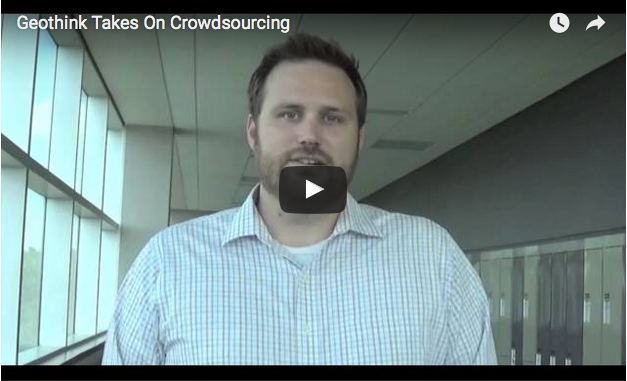 This entry was posted in Geothink Videos and tagged why geothink on August 18, 2015 by Drew Bush.